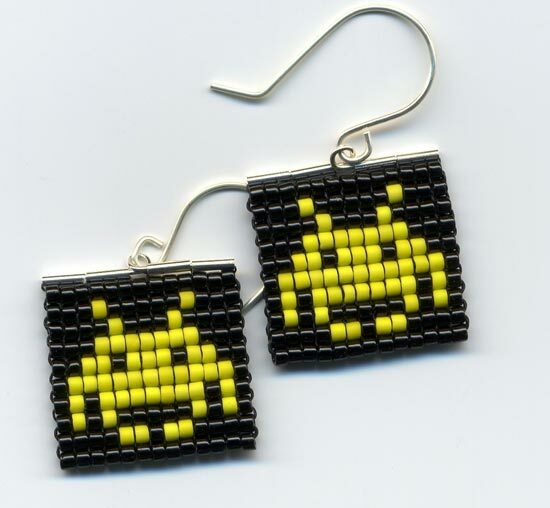 It’s Valentines Day next month, so here’s an ideal gift for your geeky girlfriend or wife, the Space Invaders Earrings. 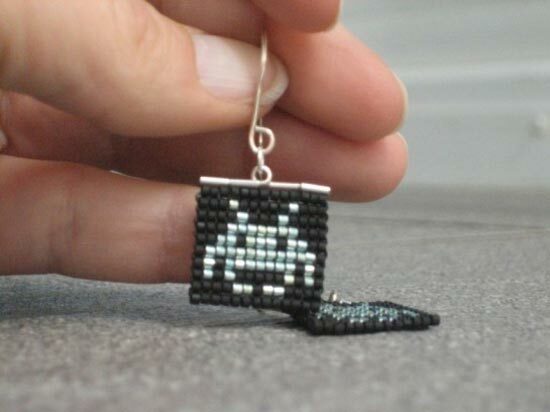 These fun Space Invaders Earrings are made from hand woven panels of delica beads, each one measures about 2.5 cm square and they come in a variety of colours. 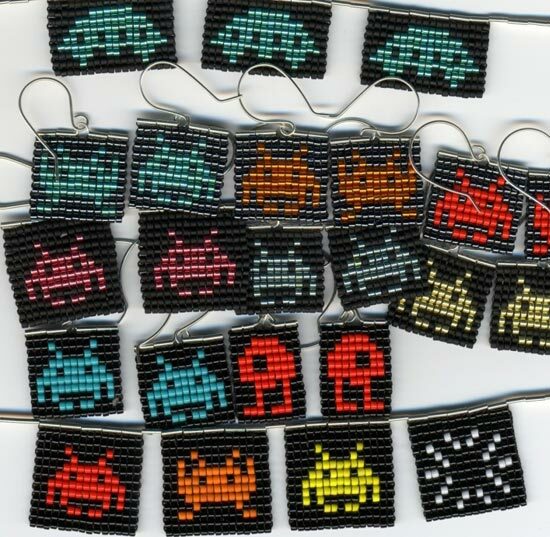 They are available for $25 for a set at pardalote’s shop over at Etsy, check out the other stuff for sale which includes a matching Space Invaders necklace.